Starting to get excited about the In Sight Suite Summer Festival, coming up at the end of July. 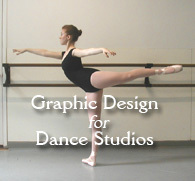 The DeMa Dance Company will be performing Bolero Stravaganza, choreographed by Yesid Lopez. The festival’s press release arrived this afternoon. I’m not familiar with the rest of the companies on the bill, but after a quick spin around their web sites, I’m really looking forward to seeing them perform. 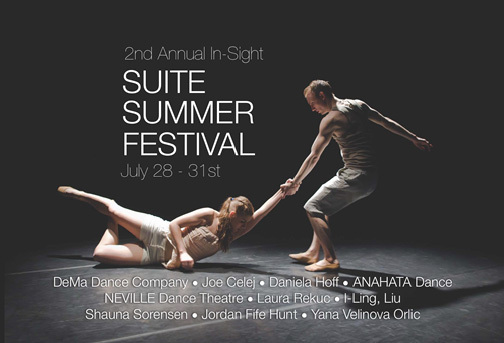 The Suite Summer Festival will take place on July 28, 29 and 30 at 8:00 p.m. and July 31 at 2:00 p.m.
(7 train to 45th Rd/Courthouse Square; E, M, G to 23rd St/Ely St). Tickets to the festival are $15 in advance at suitesummer2011.eventbrite.com or $18 at the door on the day of the performance. This entry was posted in Dance, Karen and tagged Bolero Stravaganza, DeMa Dance Company, In Sight Suite Summer Festival, Yesid Lopez. Bookmark the permalink.